As digital technology has enabled some of the most innovative musicians to redefine the means of composition, so too has it facilitated record producers and engineers in broadening the possibilities of how music can sound. One of the foremost authorities on such matters, Alan Parsons chronicles the modern recording process in a three-DVD, nine-hour instructional series, The Art and Science of Sound Recording. “The program is really designed to cover every aspect of recording,” he explains, “from the acoustic properties and design of the studio right through to the final mix of a record.” It's a culmination of sorts for Parsons, who has invested more than 40 years as a producer and engineer as well as an artist, along the way playing an integral role in shaping some of most seminal works of the pop-music era. An assistant engineer for EMI Records in the late ‘60s and early ‘70s, Parsons served his apprenticeship at Abbey Road Studios in London, acquiring the formative skills of his craft in album sessions for the Jeff Beck Group’s Beck-Ola and the Beatles’ Abbey Road, among others. His stature grew exponentially when he produced and engineered Pink Floyd’s dystopian masterwork, 1973’s Dark Side of the Moon. The album has not only endured as a landmark achievement, but in many ways has also loomed over everything he’s done since. Along with vocalist and co-writer Eric Woolfson and a cast of rotating musicians, the Alan Parsons Project enjoyed a successful run throughout the '70s and '80s with albums like I Robot and Eye in the Sky, both of which reached the Top Ten. 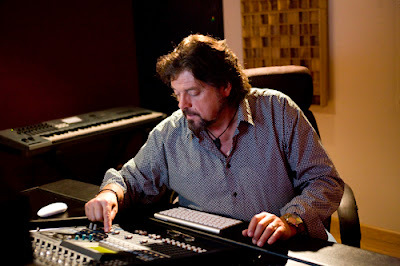 With a reputation as one of the foremost producers and engineers in the music industry, Parsons went on to work on such albums as Paul McCartney’s Red Rose Speedway and Al Stewart’s Year of the Cat. Also, indelible radio singles like Pilot’s “Magic” and The Hollies’ “The Air That I Breathe” bear his deft aesthetic. In doing so, Parsons recently issued his first new solo single in six years, “All Our Yesterdays,” along with the B-side instrumental, “Alpha Centauri,” the latter serving as the theme song to the series. Not only for professionals and audiophiles seeking such step-by-step instruction, the program should also prove enlightening to music fans interested in learning about the recording process. “I’ve interviewed a whole bunch of celebrated engineers, producers, and artists to get their particular perspective on certain aspects of recording as well,” Parsons says. Altogether, what’s presented is a comprehensive tutorial on subjects that insiders seldom reveal in such detail or with such consideration. Beyond what is offered in the way of applicable technique, Parsons hopes the series will encourage viewers to better appreciate listening to music. “That’s something I’m trying to bring across in the program,” he says. “Learning how to listen is just as important as learning how to make it sound right. You have to know what a good sound is, and that’s quite difficult to do. It’s a big part of the art of engineering. “It took me a while to grasp that in my own ears,” he continues. “When I first started working at Abbey Road, everything sounded great to me. [Then] I started doing a lot more listening and started to be more analytical. I started to hear the differences between one engineer and another.” As he refined his acuity, Parsons says he then developed his own tastes and distinguished his own creative voice. The Art and Science of Sound Recording is available for purchase through its official website.